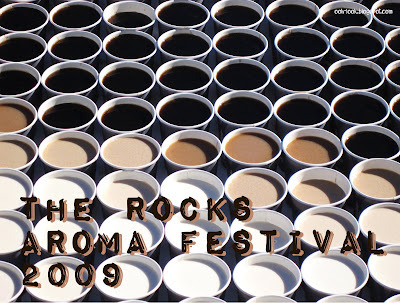 Ooh, Look - Craft: Sydney Rocks Aroma Festival - rock on! Don't you just love days like this - sunny, bright, filled with convivial coffee-seeking crowds wandering the traffic-free streets. Welcome to the Rocks Aroma Festival for 2009. 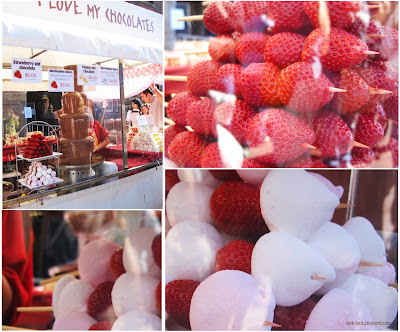 In a city that is filled with festivals, this one celebrates 'coffee, chocolate, tea + spice'. 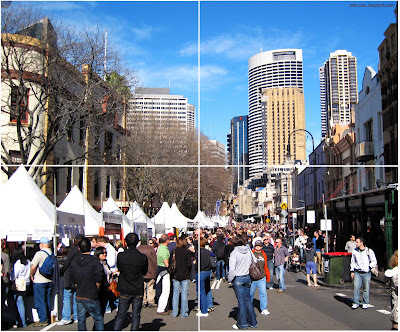 It was held in the Rocks district of Sydney, redolent with convict-built structures and cobbled laneways. We went fairly early, and it was not too crowded yet. The first (and only) coffee we got was a mocha from PeaBerrys coffee. Nicely made, with a full-bodied flavour. Nice. 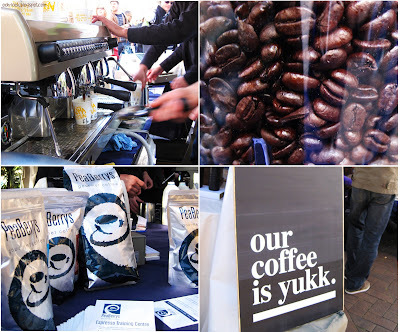 Coffee from PeaBerrys; or coffee from yukk? There were also plenty of tea stalls promoting the humble tea leaf - as a tea drinker, I found these interesting, but there weren't many samples to be had. I got a sample of Madame Flavour tea from the Good Food and Wine Show that I am keen to try again, but they weren't here, as far as I could see. A break for lunch saw us at the Lowenbrau stand, where I had a nibble of the 40cm hotdog ($10). It was served in a sweetish bun, and was alright. 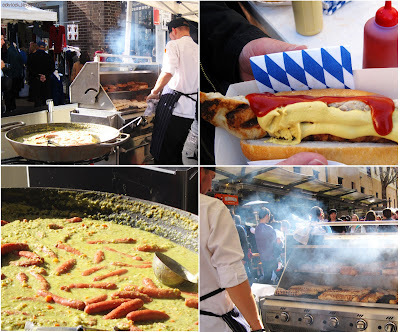 They also had available pea and ham soup with chorizo, and a massive meatloaf in a bun ($8). 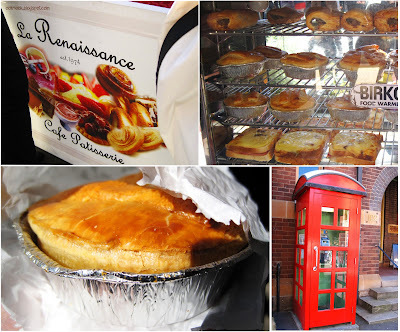 I needed something more, so a stop at La Renaissance patisserie provided a beef burgundy pie. It was full of delicious meaty chunks drenched in red wine. Yum. I ate it in a laneway while reading a wall plaque about Francis Greenaway's journey from convict to chief architect (did you know he probably forged the title deeds to his house in the Rocks?). 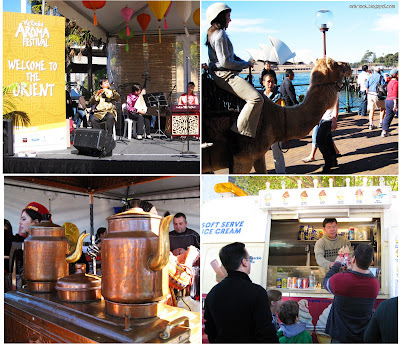 The Aroma Festival also had an area called 'Flavours of the World' - think gozleme, Turkish coffee, etc. 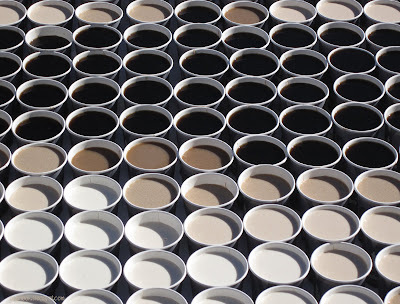 As we were about to leave, we passed by this 'coffee masterpiece' produced by the Sydney Harbour Foreshore Authority, Grinders Coffee and Dairy Farmers. 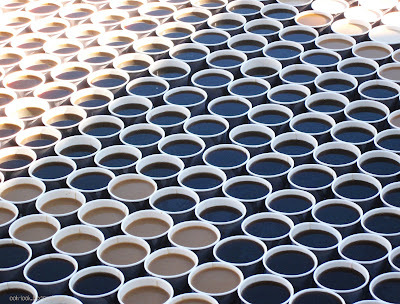 It is made of coffees ranging from long blacks to lattes. Amazing! A fantastic day, can't wait for next year's! 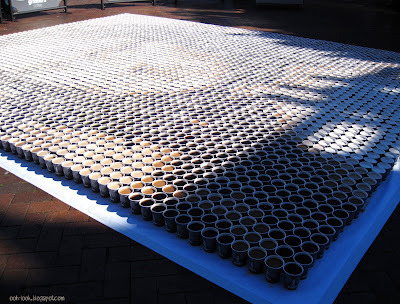 Wow, I can't believe they constructed a Mona Lisa out of coffee cups! Looks like we missed out big time - so many droolworthy treats! Didn't end up making it to this so thanks for the pictorial journey :) Love the Mona Lisa pic - what a fantastic concept and so well executed too! Oh woooww you are speeeddyy! Great to bump into you hee hee and great recap! 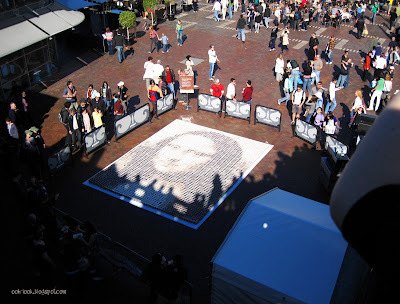 I can't believe I missed that GIANT Mona Lisa though 0_o!?!?! That Mona Lisa is such a great idea, I love it! I should have gone but my cold & the crowds scared me off. 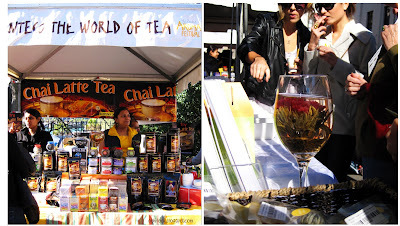 I was at last year's Aroma Festival but sadly am abroad at the moment so missed this year's. Wow, looks like they took it up a notch - the Mona Lisa is wonderful! Oh the Mona Lisa "artwork" is genius! 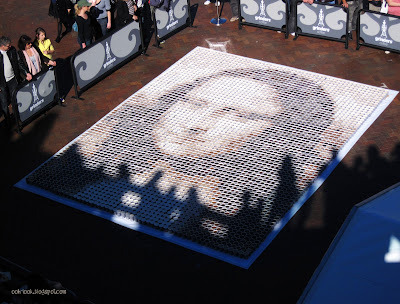 I love the coffee Mona Lisa, it's brilliant. 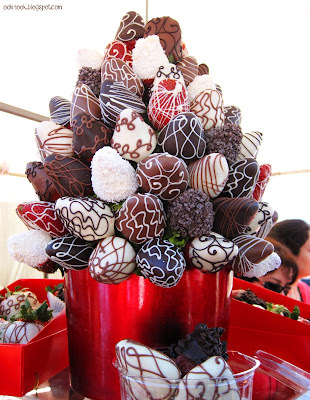 The chocolate strawberry flowers look pretty impressive too! Love the coffee cup Mona Lisa. Thanks for capturing it so well for us who didn't manage to get there. 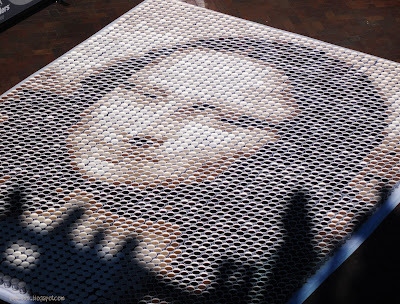 Wow, that Mona Lisa made from coffee cups is amazing! Great photography!